Preheat your Smoker to 250ºF, set up for BBQ smoking, I use Cherry for my smoking wood. Combine the ground hamburger, 1 cup of Three Little Pig’s Competition BBQ Sauce, panko, egg, onion and cheeses in a bowl and mix well by hand. Place the mixture on a work surface and form the meat into a loaf shape. Season well with Three Little Pig’s All-Purpose BBQ Rub. 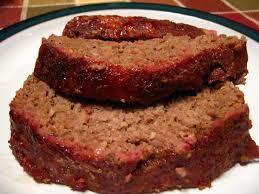 Smoke the meatloaf at 250 degrees until internal temperatures reaches 160 degrees, use the remaining Competition BBQ Sauce to glaze the meatloaf for the last 10 minutes before serving hot off the grill. This entry was posted in BBQ Classes, BBQ Tips, Meats, New Products and tagged 3 little pigs, America’s Best BBQ, bar b que, barbecue, barbecue rubs, bbq grilling, BBQ Restaurants, bbq rub, BBQ Rubs, BBQChampion, beef, Best BBQ rub, Champ Rubs, Chris Marks BBQ, dry rubs for meat, Hamburger, Kansas City BBQ, Meatloaf, Memphis BBQ, North Carolina BBQ, rubs for grilling, smoked meatloaf, Three Little Pigs All Purpose Rub, Three Little Pigs Competition BBQ Sauce, World Champion BBQ. Bookmark the permalink.